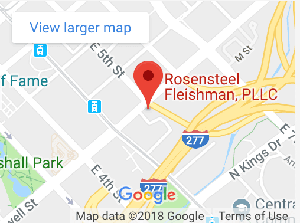 About 20 times a day a conversation takes place between a personal injury lawyer of Rosensteel Fleishman and a client regarding the value of their injury claim. This conversation will take place multiple times throughout the life of a claim. However, it is after the initial offer is made and settlement is being discussed that the value of their injury is dissected in minute detail. After an accident people are entitled to be compensated for their injuries. In those general statement personal injury lawyers and insurance companies agree that the law is clear. Where the disagreements begin is dealing with the value of those injuries (or if the person was injured at all). One of the most common injuries following a car accident is an injury to your back. Injuries to your neck are covered under a different article. The injury to your back occurs not because of the impact of one car hitting another but because of the moving inside the vehicle after the impact. In other words if the person inside the vehicle doesn't move following an impact that it is unlikely that they will be injured. Most of the injuries result from strain and sprains of the soft tissue in the back from the twisting and turning that takes place following an impact. One of the first things insurance companies look at in determining value is how much damage was done to the vehicles involved. The idea is that the more damage inflicted on the vehicles the higher the probability that the person inside the vehicle would be twisted and turned. This is a very important factor in determining the value of your back injury. Certainly, the lower the property damage the harder your case becomes to prove your back injury was caused by the accident. The second thing insurance companies look at is whether the client complained about an injury at the scene of the accident. North Carolina police are required to ask people involved in an accident whether they are injured and if they need an ambulance. The police are required to record the answer in the police report. If the client stated they were not injured that may result in the insurance company reducing the value they have on the claim. Certainly, there are other factors for example the type of collision (rear impact, head on, t-bone, sideswipe, etc), the amount of property damage, and whether anyone else complained of injury at the scene which will affect how much weight the insurance company puts on this one factor. The third thing insurance companies look at is the type of treatment you had following the car accident. For example, did you go to your primary care physician followed by an orthopedic and physical therapy or did you go straight to a chiropractor and no one else. The number of doctors can affect the value of your case because it is also the number of potential experts that could testify in a court of law and give opinions regarding your injury. If you just went to a chiropractor and nothing else you would only have one expert who could testify (the chiropracotr). If you went to a primary care physician, an orthopedic and a physical therapist you would have three potential experts. The fourth thing insurance companies look at is the timeline in your treatment. There are numerous variables in this factor and no two cases are the same. For example, did you not complain of injury at the scene but go to the ER one hour after the accident v. complaining about injury at the scene of the accident and going to the ER by EMS. In the eyes of most insurance companies going to the ER by EMS is more valuable then going to the ER one hour after the MVA. Following the ER the question is how long does it take to begin further treatment. This is one of the most heavily weighted factors in determining value. The longer the gap between the date of the trauma (the accident) and receiving treatment the less valuable the claim becomes. Further, the insurance companies are looking at how long your treatment lasts. Clearly if your treatment is only one week you are sending the message that your injury is not very severe. Insurance companies are also looking at your pre-existing condition prior to the accident to see if the injuries are aggravations of old injuries of new injuries. Depending on the severity of the pre-exisiting condition that may or may not affect the value of the claim. For example, if the client was suffering with back pain prior to the accident and treating once a week with a chiropractor it will be very difficult to prove that the car accident changed the condition of the client. This differs of course, if the client had a back injury a year or two prior to the accident and had stopped treating with all medical providers prior to the accident. While in the latter example the accident may aggravate the back injury it will be much easier to prove medical causation because of the limited treatment prior to the accident. One of the most important variables in determining the value of your back injury is controlled by the client, it is what you say to your medical providers. When I first meet with a client I explain to them that the insurance company will read through all of their medical records. They will be looking for things you say which will help or hurt your case. Clearly, if the records reflect that something other then the car accident caused the injury to your back the insurance company will not pay for the claim. Further, if your records reflect new or different trauma (slipped in the shower, fell down the stairs, picked up a baby) the insurance company will look to blame that trauma on the need for continuing care on your back. One of the most important factors in determining the value of your back injury is the lawyer that you choose to represent you. Insurance companies know which lawyers will file a lawsuit and try their client's cases if the settlement offer is not adequate. At Rosensteel Fleishman, we never force our client's to settle a claim. We give them multiple options including filing a lawsuit and letter a jury decide the value of their claim. Our lawyers are in court everyday fighting for our clients. If you have a question regarding the value of your back injury or your personal injury claim in general, please contact us. There is no fee for the initial consultation.